I can’t help but think of the Rat Pack every time I see this photo. 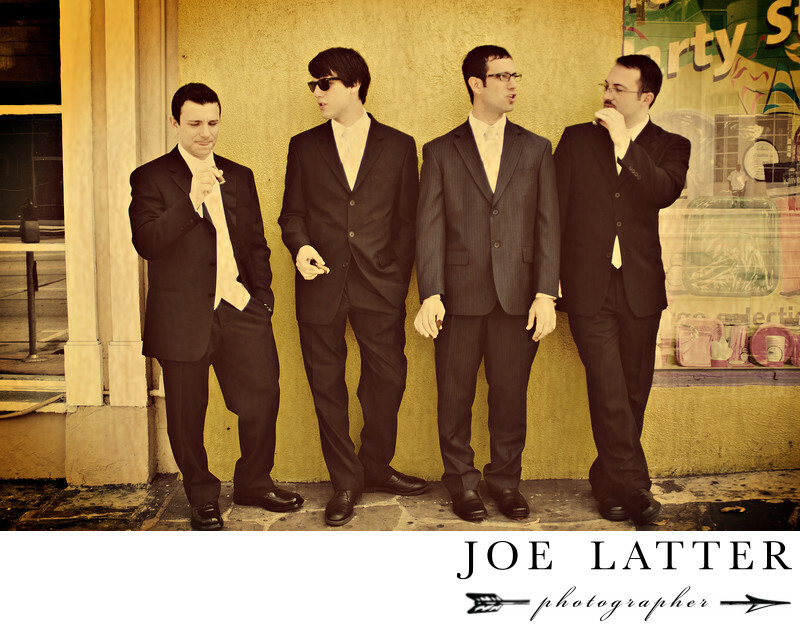 I shot this image of the groom and groomsmen waiting to be picked up for their wedding at the Skirball Cultural Center in Los Angeles, California. Most of the time you will get the best photo of the guys when they actually do not know they are being photographed. Such is the case for this shot.